The golden sun kissed sands together with shady coconut groves and turquoise waters is recipe for a great beach holiday in Sri Lanka. As tour operators in Sri Lanka, Classy Tours takes pride and responsibility in hosting your stay in this island nation with premium quality to match your budget. A dip in the clear blue water and indulgence in uniquely Sri Lankan delicacies such as ‘isso wade and accharu’ are a must try while your stay. ‘Kothu Roti’ served to your palate with freshly grilled sea food is mouthwatering. The vegetarians too have their own versions of the Kothu Roti, making it universal for all taste buds and desires. Travel in Sri Lanka is enjoyable and the country has a huge stretch of beaches to span the length and breadth of the country. Mount Lavinia and Negombo are easy get away to relax and chill if you are residing close to Colombo. 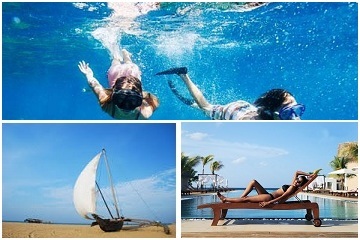 The beach culture in Sri Lanka is diverse and entertaining, with a space for all helping you carve a great holiday. 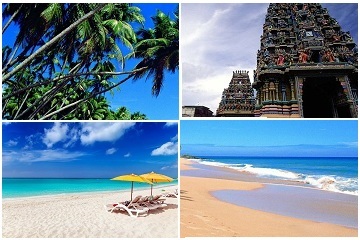 Beach tailor made tour offers customer designed journey that are exclusive and personal to each holiday maker. Now you can simply design your tour together with one of our experts to fits with all your requirements.